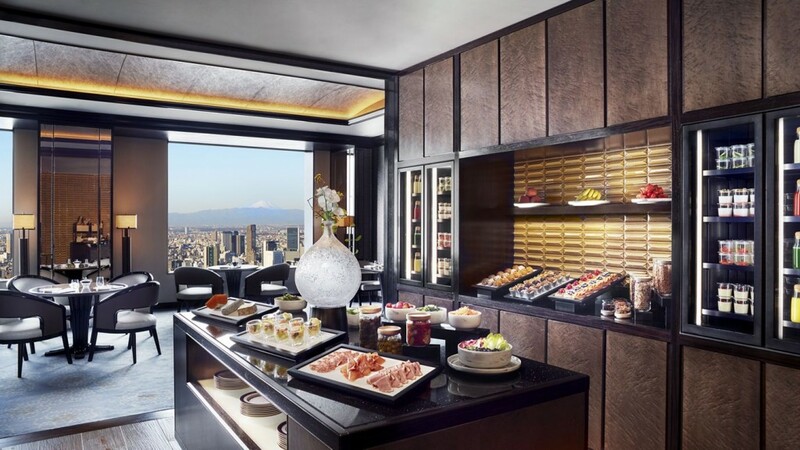 Set atop the tallest building in the city, with commanding views stretching from the pulsating Roppongi district out to Mount Fuji, the 247-room Ritz-Carlton Tokyo raises luxury hotel stays to new heights. The hotel occupies nine floors from the 45th level in Tokyo Midtown Tower, a multi-use commercial and residential skyscraper built in 2007 on the former site of the country’s Defence Agency. The tower was part of an urban revitalisation project launched by the Japanese government decades earlier authorising the large-scale relocation of national agencies to commercialise prime government land. Internationally acclaimed interior architect Frank Nicholson, who has collaborated with Ritz-Carlton on over thirty other properties, was responsible for designing the hotel’s public spaces. Nicholson’s forward-looking yet timeless design ethos was well suited for the hotel’s desire for cosmopolitan sophistication, based on classic European decor fused with contemporary Japanese accents. The hotel underwent a multi-phase renovation in 2016 led by the Asia-based interior firm, Design Studio Spin. The Ritz-Carlton Tokyo is located in the Roppongi Hills neighbourhood flanked by the green space of Hinokicho Park and bordering Akasaka, an affluent commercial and residential district of Minato populated by foreign embassies and high-end shopping. A short hop away are the museums in Roppongi’s Art Triangle — Mori Art Museum, Suntory Museum of Art and the National Art Centre — all within walking distance from the hotel. Excellent nightlife and restaurants are close to the hotel, and it is highly recommended that guests embrace Tokyo’s best bars on their doorstep. One of the finest places nearby to pull up a seat and loosen up pre-dinner is at Gen Yamamoto’s eponymous eight-seater bar carved from a single 500-year old slab of Japanese oak. 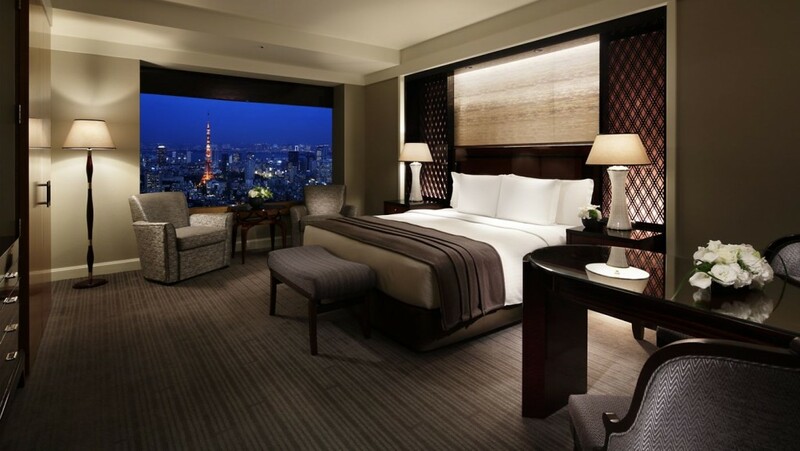 The Ritz-Carlton Tokyo has four room categories from a 52sqm deluxe room to a deluxe tower room with club lounge access. The 11 suite categories range from 80sqm executive suites to the 307sqm Ritz-Carlton suite. The room reviewed was a large 52sqm club tower deluxe on the 53rd floor, with a seating area by the expansive window with views over Tokyo Tower and beyond. The room’s décor is fashioned on a modernised interpretation of Japanese teahouse architecture in dark shades of greys, purple and mahogany. Furnished with the finest, the room features a plush king-sized Sealy bed lined with Frette sheets, a generous work desk, a television with international channels, and a Nespresso coffee machine. Bathrobes, pyjamas and slippers were provided. The marble bathroom came replete with separate bathtub and shower, double sink vanity, a 17-inch LCD television, and a full set of toiletries by Asprey. The room was serviced twice daily with complimentary bottled water replenished during the nightly downturn service. Free Wi-Fi, daily morning newspaper, around-the-clock shoeshine service and access to the club lounge were standard room inclusions. Guests staying in the clubrooms will have access to the luxuriously fitted out lounge on the 53rd level. Based on a “residence” concept, the lounge is divided into four areas — a reception, garden terrace, dining room and library lounge. Open from 7 am to 10 pm daily, the club lounge features personalised check-in and check-out services, a sommelier’s selection of wines and champagnes, complimentary pressing service upon arrival, packing and unpacking assistance, a dedicated multilingual club concierge, and an ESPA gift certificate. The clubs also offers breakfast, light lunch, traditional afternoon tea, hors-d’oeuvres, and a cordials and desserts presentation daily. The breakfast spread is outstanding for a club lounge with a cook-to-order egg and waffle station, an abundant selection of Asian and Western options at the continental breakfast station, and lobster omelettes every Saturday. Also impressive — and a welcome change of pace — is the traditional three-tier English afternoon tea presentation, served from 3 pm daily. Guests have five restaurants and beverage options on site, including the Michelin-starred Azure 45 French fine dining room on the 45th floor, an upmarket contemporary grill restaurant Towers, where the food menu complemented by an impeccable wine selection and a signature dessert trolley, and Hinokizaka that serves Japanese cuisine in four styles, Kaiseki, Sushi, Tempura and Teppanyaki. For more casual bites, the Lobby Lounge offers traditional afternoon tea, light fare, cocktails and live entertainment daily. Similarly, The Bar located on the same level features shareable plates and speciality cocktails. 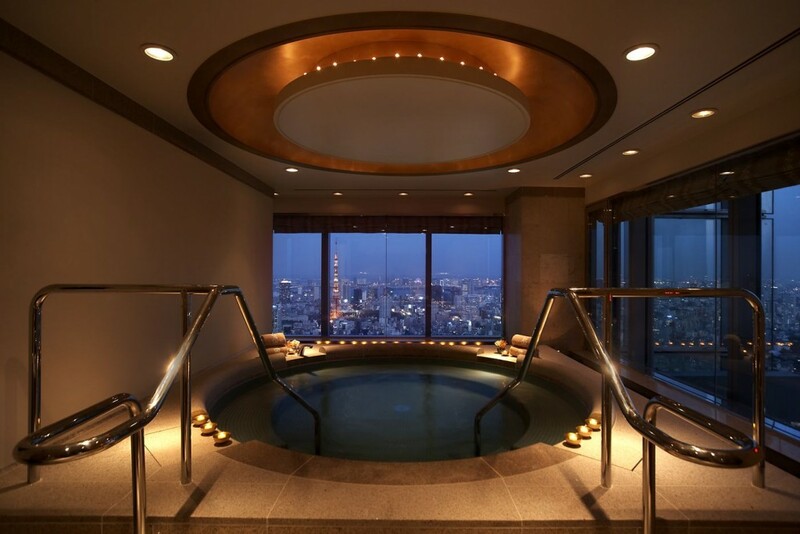 Located forty-six floors above the city, is the 2000sqm Ritz-Carlton Tokyo’s spa and fitness centre. The fitness studio is open 24 hours daily kitted out with strength training and cardio equipment, a 20-metre pool indoor lap pool, jacuzzi, heated bath, steam sauna, dry sauna, and activewear is available for guests to rent. The Hotel’s spa offers treatments that draw inspiration from Japan and Europe, incorporating the best of east-west techniques, using products from the renowned ESPA line. The Ritz-Carlton, Tokyo, also has extensive meeting space and facilities totalling 560sqm — including a wedding chapel — to accommodate groups from boardroom gatherings to large social events. 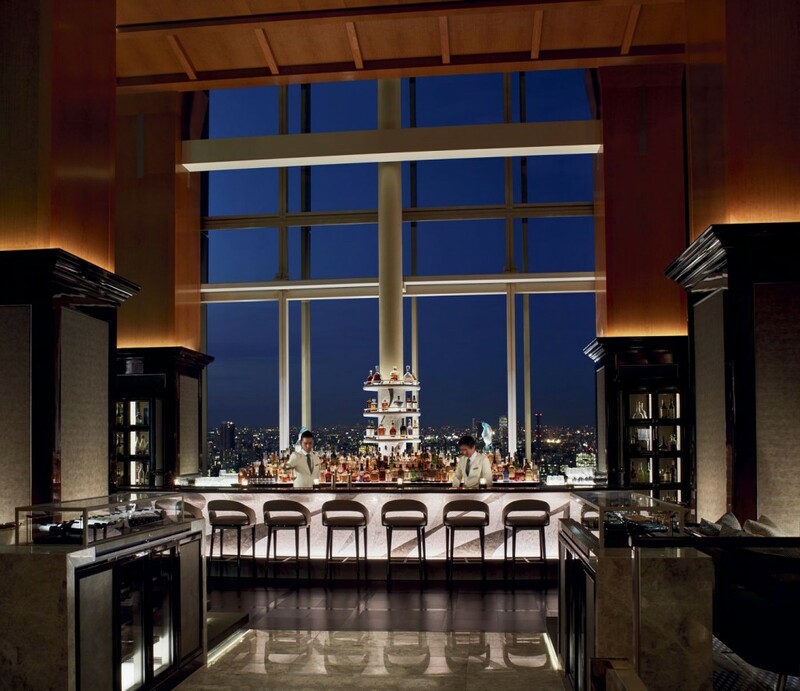 The Ritz-Carlton Tokyo is a superbly located hotel with panoramic views of the city and Mount Fuji that delivers the best east-meets-west style hospitality in the city. The Club Lounge offers guests five excellent food and beverage presentations daily that serves tremendous value to travellers who book rooms that have access to this facility. The hotel recently welcomed a new general manager, Yuji Tanaka, in November last year. 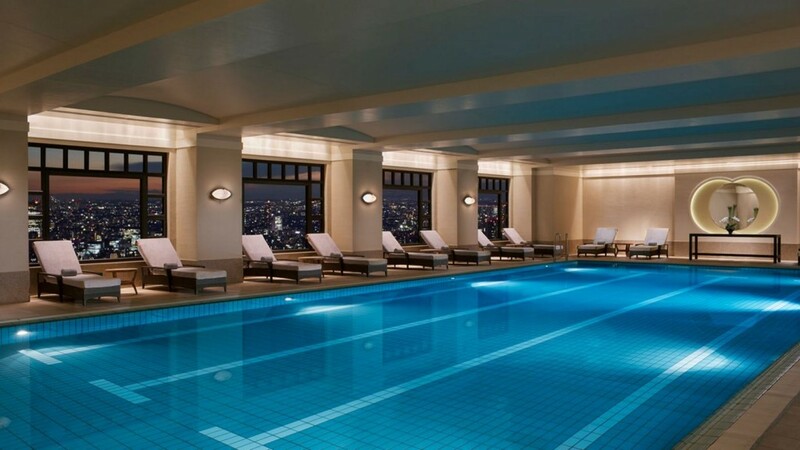 Tanaka brings 30 years of luxury hotelier experience to the Tokyo Ritz, which will no doubt strengthen the hotel’s status as a leader among luxury properties in the city especially ahead of this year’s Rugby World Cup and the 2020 Olympic games, for both of which Tokyo is the host city. Our roving reporter spent the long weekend living it up at this luxury hotel, just in case you need somewhere to direct your travel FOMO today. Read at your own peril: This review may make the prospect of continuing your day without immediately booking flights to Japan unbearable. Considering the cold and wet day we’re having in Sydney, this hotel review was a delightful distraction. Or it was until the jealousy kicked in.